The Chartreux is an old breed that is a balance of contrasts. 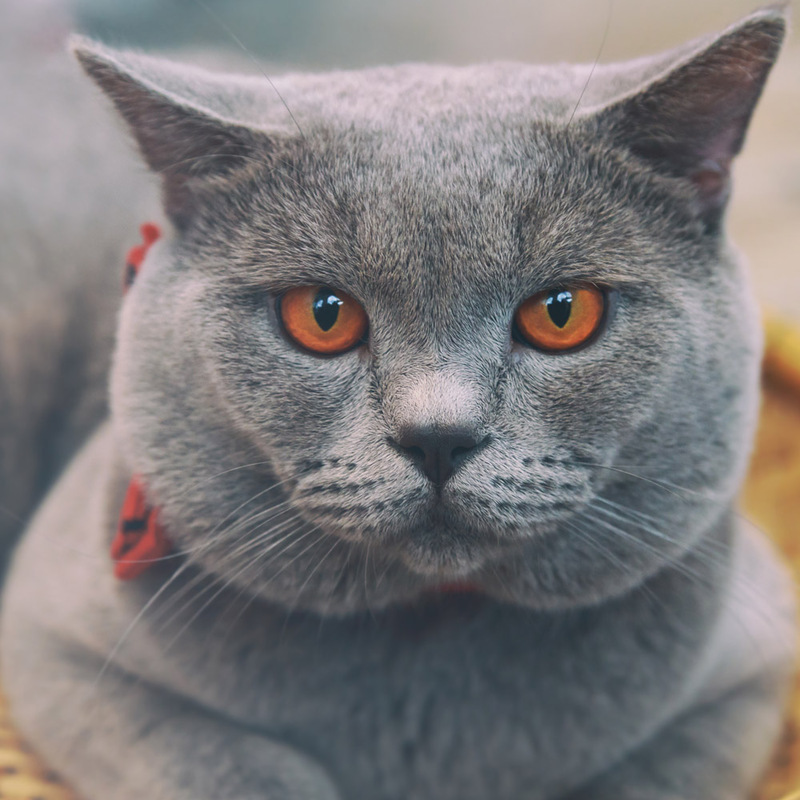 With its sturdy, robust body and fine-boned legs, the Chartreux is often described as a "potato on toothpicks". It is one of the few breeds to come in blue only and its medium length coat has a woolly texture to it. It has a hard top-coat which is water-repellent and a soft, dense undercoat to keep it warm. The rounded head tapers towards the muzzle creating a smile and the medium-sized ears are set high on the head. But the eyes are one of the first features to leap out at you—the large orange eyes light up the whole face. These are cats that want their feet firmly on the ground. While playful and intelligent, these engaging cats are not one for hi-jinks flying through the air. They have quiet voices and sometimes seem to chirp to each other and to their owners. While they are somewhat reserved, these are calm placid cats that are devoted to their owners. They like to climb and have a reputation of being great hunters—these aspects of their personality may be directly connected to their earlier role of hunters. Brushing their coat is better replaced by simply running the fingers through their fur. Around 6 weeks of age the kittens go through a major metamorphosis. Eye color changes from blue to a murky brown with flecks of orange. Heads begin to fill out and ears climb to the top of the kittens’ heads. More guard hairs appear in the coat.